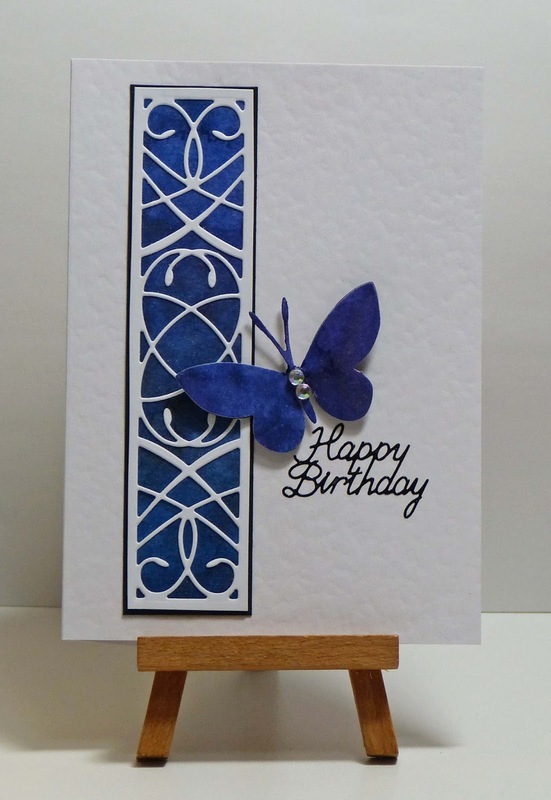 Cathy's Card Spot: Indigo butterfly. Hi everyone, I'm finally on holidays and hoping to catch up with some challenges and increase my stash of cards! 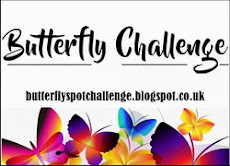 I'm racing in to the Butterfly Challenge where the theme is to use a silhouette and the optional colour of indigo on a butterfly card. I'm hoping this solid diecut will count as a silhouette. At Seize the Birthday I'm choosing the anything goes birthday option. My butterfly is popped up on some foam squares glued close to the body so it gives lots of dimension. The theme at Simon Says Stamp Wednesday is to pop it up. 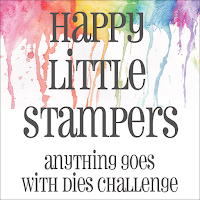 I'm also linking up to the anything goes with dies challenge at Happy Little Stampers. Kuretake Gansai and Finetec watercolour paints; Memory Box Lucienne Tile and Moonlight Butterfly dies; sentiment sticker. This is such an elegant looking card and I love the combination of the colours that have produced this striking effect on the back panel and butterfly. Thank you for fluttering into the garden. Hugs Mrs A. Beautiful card. Love the blue behind the pretty die cut and the blue butterfly. 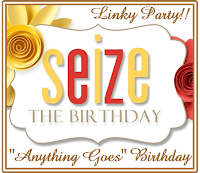 Ooopes, forgot to tell you thank you for joining us at Seize the Birthday. Gorgeous CAS card Cathy! It's so elegant and striking. So pretty! Love this color! This is so beautifully elegant. I love the subtle colours you've created. Simply gorgeous! Love the striking blue on the white background. Thanks for playing along with Seize the Birthday.